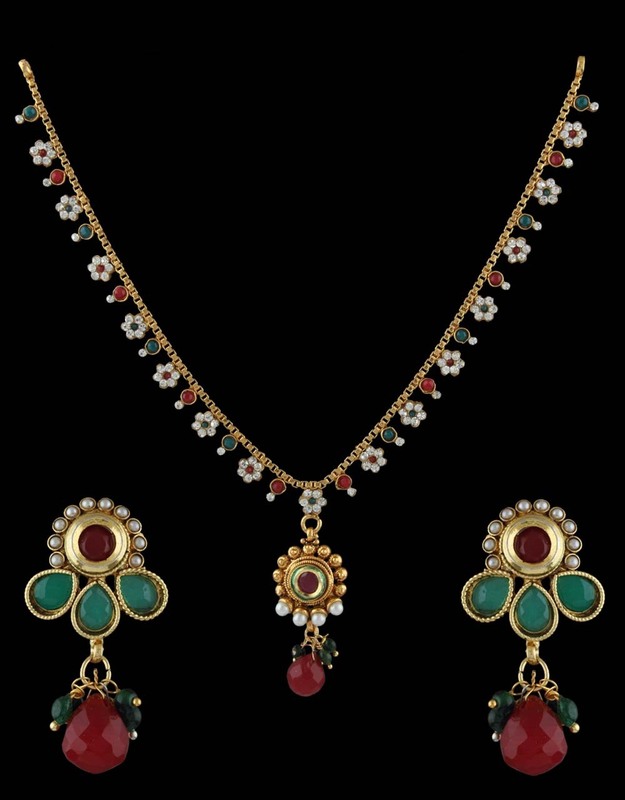 Exclusively crafted this multi colored necklace set from Anuradha Art Jewellery will never fail to compliment your ethnic look. 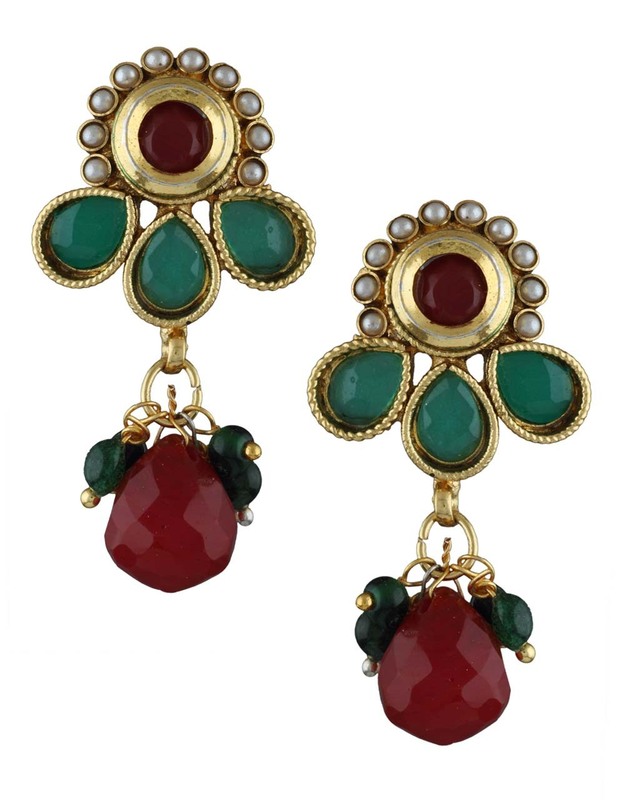 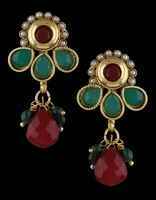 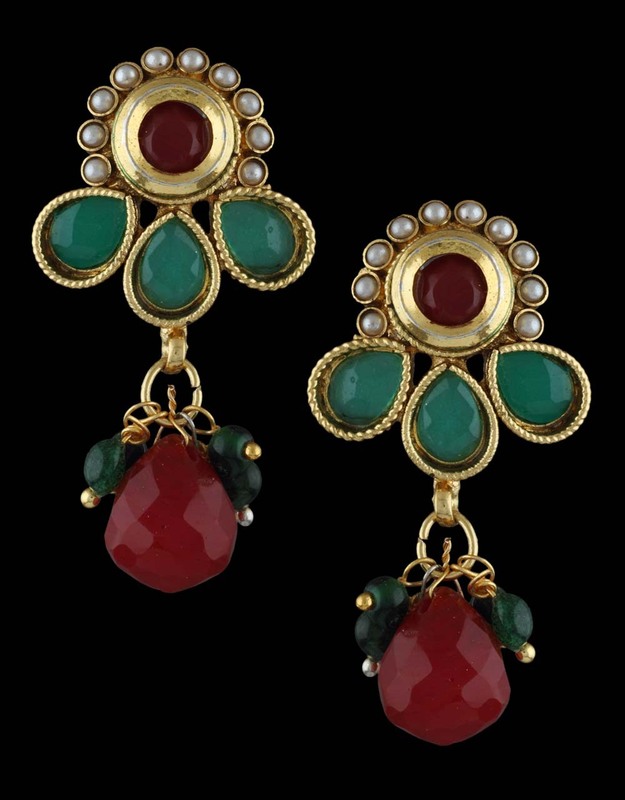 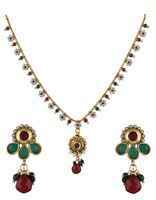 It is styled with polki stones & crafted from 40% silver & golden polished copper. 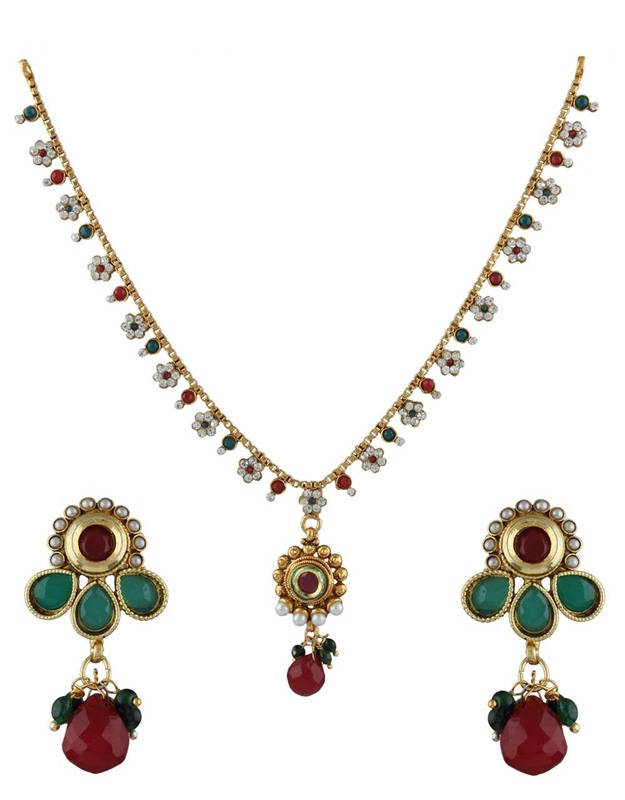 This set comes with an adjustable dori, so that you can fit according to your neck.